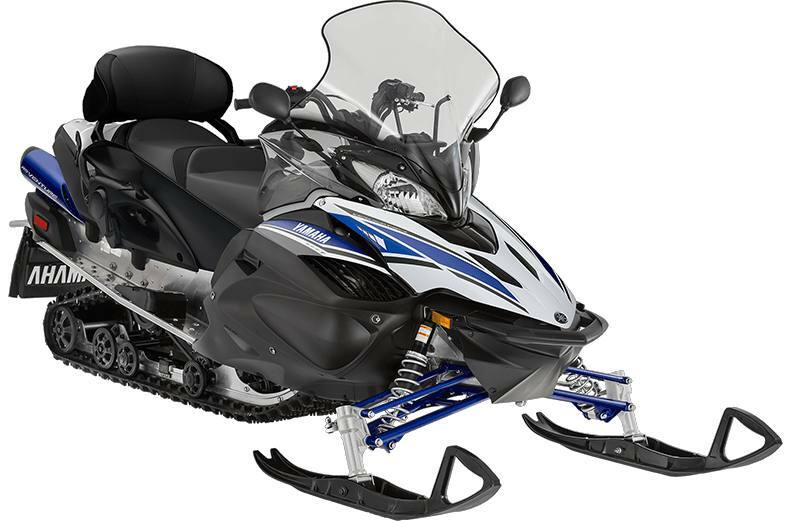 The ultimate test for touring snowmobiles is comfort when travelling mile after mile. Expect nothing short from the RSVenture TF. 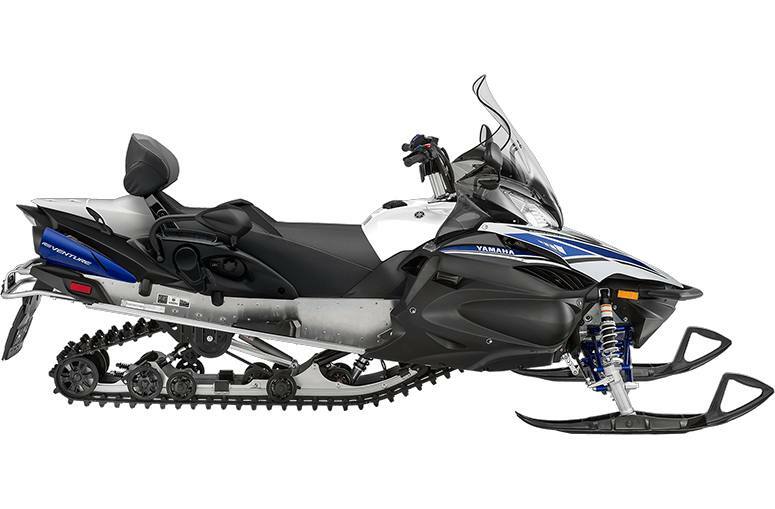 Featuring the Genesis 1049cc engine, electric power steering and Yamaha's engine braking reduction system, the RSVenture TF was designed with comfort in mind. Engine Braking Reduction System: Yamaha utilizes an engine braking reduction system for a "free-wheel" feeling on deceleration. The system allows a small amount of air to flow through the intake system upon throttle release, thereby dramatically reducing the engine braking effect typically association with a four-stroke engine. RipSaw II Track: Regarded as the best high-performance terrain track available, the 151 x 1.25-inch lug design of the RipSaw II delivers incredible acceleration, braking control, and handling in a wide variety of conditions. Standard Electric Start and Reverse: Seamless and easy to use electric start delivers instant and hassle free starts, no matter the weather, eliminating the need for an "old-school" pull rope. You'll also enjoy the convenience of an effective and simple to use reverse system, includes a helpful alert beeper so you always know when reverse is engaged. Standard Tow Hitch: In addition to a host of on-board creature comforts and storage, a standard factory rear mounted tab-type tow hitch is at the ready for additional gear or occasional light-duty hauling.